The Reliable 5000CJ has been designed from the ground up to deliver superior quality dry steam, and provide the best possible user experience. What it does. The 5000CJ offers a quick, efficient way of cleaning away left over wax, plaster waste and other debris, and for polishing the final product. 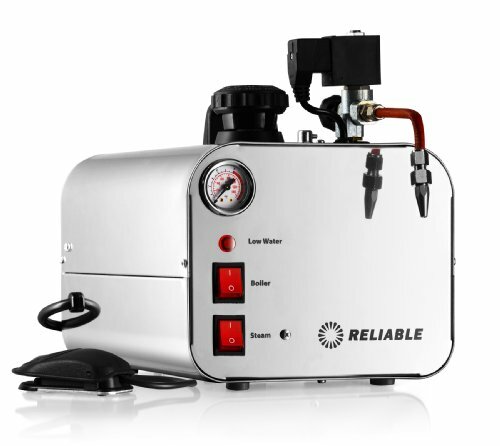 Reliable understands that the quality of a steamer is only as good as what is inside it. This is why we use the best components available; 12-gauge wiring throughout, a ceramic terminal block, and an all stainless steel steam tank to eliminate the chance of rust. Made in Italy. Lifetime product warranty policy applies to all Reliable Corporation pressurized steam boiler tanks. See warranty document for details.